According to Marianne Kaltenbach, these fish cakes were traditionally made in Weggis, a small town bordering Lake Lucerne. Albeli, a small fish endemic to the lake, was typically used. Although Albeli were previously also found in Lake Zug, today they only exist in Lake Lucerne and are prevalent and popular among local fishers. Unfortunately, I was not able to get my hands on Albeli, so for this recipe I used Switzerland's much loved Egli (river perch), but probably any similar white fish would do. Recipe from Kaltenbach's classic, Aus Schweizer Küchen. Break up the bread into little pieces, discarding any super hard crust, and put in a large bowl. Heat the milk and when it is bubbling, pour it over the bread. Let this sit for about 15 minutes. Cut the fish into small pieces then add it to the bread and milk. Stir in the lemon, seasoning, and egg. Start to melt a knob of butter in a large frying pan over medium heat. 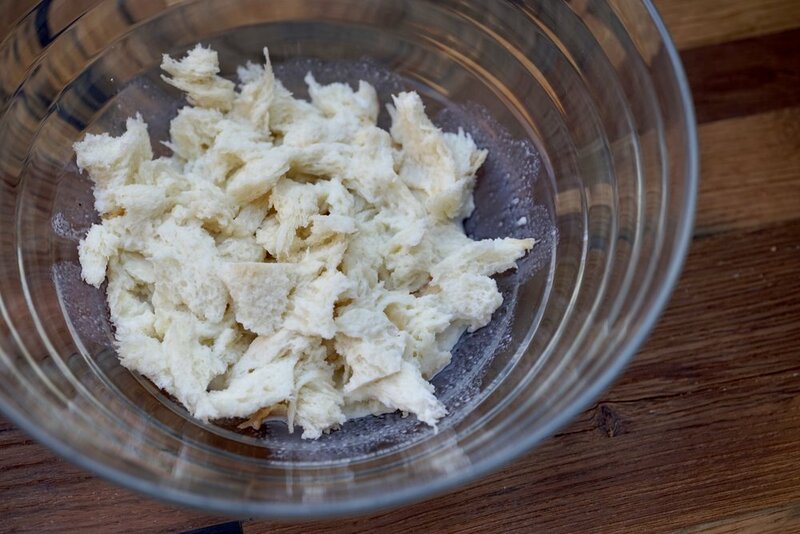 Meanwhile, sprinkle 1-2 tbsp flour on top of the fish mixture and use your hands to mix this through, then form cakes about the size of your palm. As soon as the butter in the frying pan is bubbling, add these cakes one by one. Cook them for about 5-6 minutes on the first side—until the bottoms hold together and are golden—then flip them and cook on the other side for about 5 minutes, or until nicely browned and the inside is cooked through. Garnish with sour cream and spring onions, and serve immediately. Of course use Albeli if you are in the Lake Lucerne region, otherwise Egli (river perch) or other white fish work fine. Even something denser like cod should work pretty well here, just cook for slightly longer.